After reading a couple of heavy sci-fi/fantasy books, I was in the mood for an intriguing mystery. I’d never read anything else by this author, but rest assured, I plan on correcting that. I finished this book in less than two days (while I was supposed to be working on several other projects), but just couldn’t put it down. The dual narrative between Owen and Noah is done so well, and goes about revealing the layers of secrets at a perfect pace. A small town setting and and secluded pecan farm only add to the years-old secrets. With the shocking situation Owen and his mother find themselves in, being stripped of everything they own and having to endure horrible comments and treatment from both adults and teens affected by Owen’s father, it’s incredibly easy to relate to them. Rather than wallowing in self-pity over everything he’s lost, I admired Owen’s determination to better his situation, help his mother, and find his father. Upon reaching the end of the book, I had several theories, but the twist came as a surprise. Warning: Whatever you do, don’t flip to the end of this novel and spoil it for yourself! If you’re looking for an absolutely un-put-downable mystery with deliciously surprising twists, this is your book. 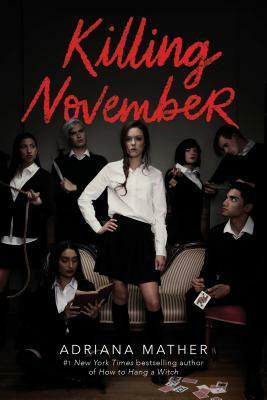 I read the first book in this series earlier this year, and immediately became a fan of Cassie Tam. She’s a confident, successful woman in her PI business, but when it comes to romantic relationships – that’s where she’s challenged. In this book, Cassie is struggling to find her footing with new girlfriend, Lori, and balance their relationship with her workload. She’s still charmingly awkward, and while she may not say exactly the right things, she honestly means well. With encouragement from Lori, she’s also learning to be friends with her ex-girlfriend. Upon realizing Cassie’s new case involves dog fighting, as an animal lover, I was a bit leery of how much detail would be given and wondered if I might have to skip some pages. No worries – the fighting happens ‘off-screen’, and my heart was spared. While the first book in this series focuses more on the fascinating tech and world-building, I felt like I got to know Cassie better in this new novel, and her snark is still one of my favorite qualities. 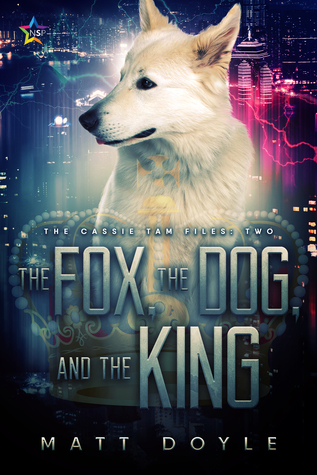 Action, mystery, twists, and a touch of romance make The Fox the Dog, and the King another intriguing addition to this light sci-fi series. I wouldn’t saying reading the books in order is a necessity, but it would help with understanding more about the world-building and Cassie’s backstory. This story has everything that intrigues me – ghosts, mediums, seances, buried secrets. And that cover! I’ve read several other books by this author, and couldn’t wait to dive into this new series. 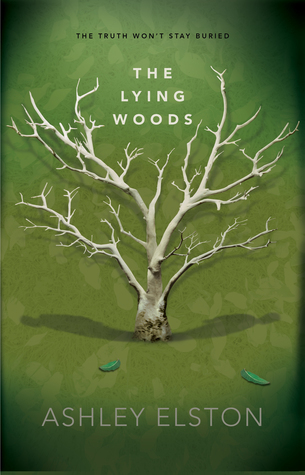 The timelines blend seamlessly in this intricately plotted supernatural mystery, and the gradual reveal of Lucinda’s life is both fascinating and heartbreaking. Maya is also a compelling protagonist, and I enjoyed her reaction upon realizing she wasn’t the only resident in her house – entirely believable. A well-drawn supporting cast rounds out the character list, but don’t go making assumptions while reading – not everything is what it appears on the surface, and characters may surprise you. 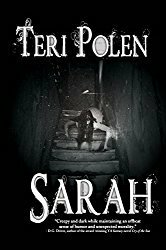 There are a few chilling moments in the novel that gave this horror lover warm fuzzies. I also loved that one of the characters was reading Salem’s Lot (one of my fav King books) at 2 am in the morning while waiting for a supernatural event to occur or not occur. I could totally be friends with this person. 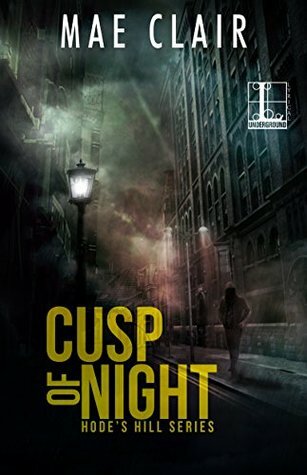 If you’re a fan of supernatural mystery/suspense, you can’t go wrong with this series, and I’m excited to see what the next book brings. Small towns seem to contain the most secrets, and this one had more than most. Layers upon layers. And that’s what prevented me from putting down this book. This novel kept me guessing. At certain points, I rolled my eyes, certain I knew which direction the plot was headed, and how similar this book was to so many others I’d read. And I was very pleasantly proven wrong. Twists and surprises are sprinkled throughout, with strong characterization of both the MC and supporting cast, and an enjoyable Victorian era setting. The ending is something rarely seen in YA books with romantic angles – and it’s perfect for these characters. One trope this novel does contain is a love triangle, something I’ve never been a fan of. This triangle and the drama that accompanies it slows the plot about halfway through, and bogs down what is otherwise a captivating, fast-paced read. 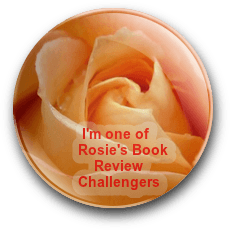 I’d recommend this book to fans of mystery, suspense, and romance who enjoy unexpected twists and surprises. 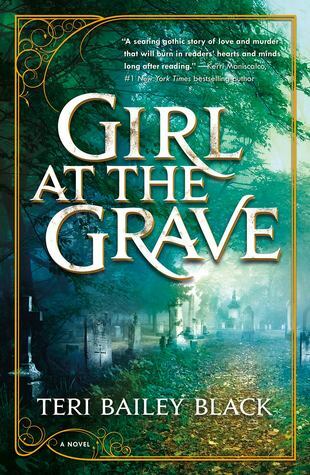 Girl At The Grave is scheduled for publication August 7th, 2018. Welcome Tom Minder! Tom has previously visited this blog, and today he’s here with his new book, which looks to contain an unusual cast of characters. Release date is October 11, 2018. Preorder it at Black Rose Writing or Amazon! I had the basic plot for my first novel, The Long Harbor Testament, rambling in my head for most of my adult life. I started to get serious in late 2011, and began the outline. Two years later, I had a completed and edited draft. Three years of querying agents and small presses, and the subsequent time gaps without hearing back, gave me a chance to write and publish short stories in various literary journals, and eventually compile an anthology, Chronicles of Sam. The Long Harbor Testament was accepted by Black Rose Writing in August 2016, and published in January 2017. Chronicles of Sam followed in December 2017. 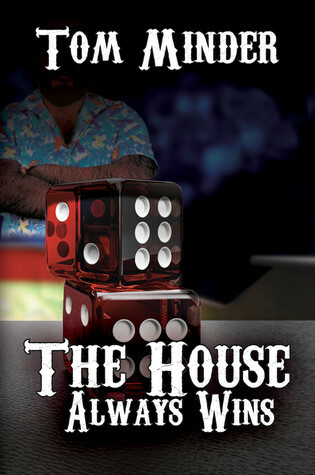 What gave you the idea for The House Always Wins? I wanted to continue the Long Harbor story of gambling, drinking, and fast food, but needed to update to a more current locale for these pleasures. 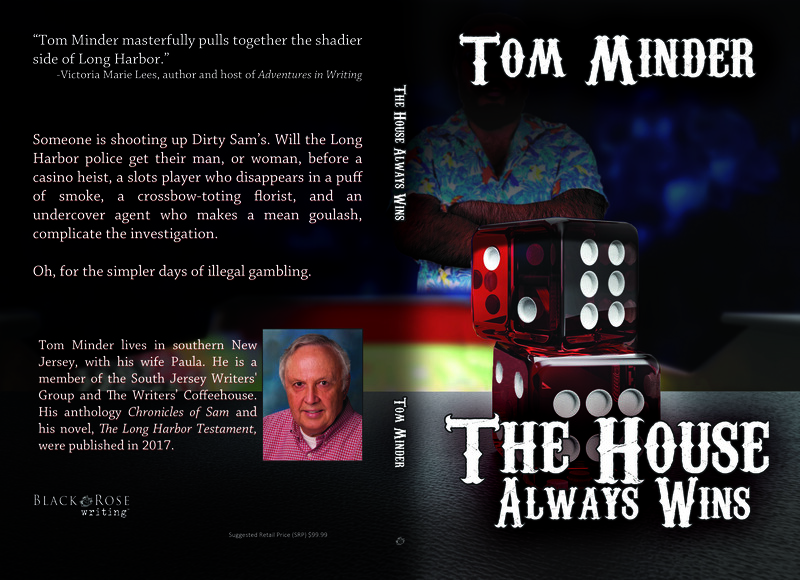 Casinos, with their easy money, non-stop activity, and look-the-other-way approach to entertainment, fit my desire to tell a story of crime and its consequences to the community. Mix in troll-carrying slot players, an amateur magician, a hairy giant who resembles the Jersey Devil, and a crossbow-toting florist, and no one is safe. One of the main female characters, a casino manager, is an ambitious, double-dealing opportunist. I had to be careful to not stereotype her from a male perspective, but rather give her a chance to breathe and plot for herself. Ironically, a female security guard, who also figures prominently in the story, had to be energized into a character who was willing to plot her own future. I had to make sure that these characters were realistic, and just not male perceptions of how they would act. The male lead, a seven foot hairy giant, was easiest to write. He has all of my bad habits, desires, and hungers, while displaying just enough charm and humanity to have people overlook his flaws. Having the patience to outline before plunging into the story. I actually ended up doing an iterative outline: sketch out enough detail to start writing, and then updating the outline and story as the characters let me in on what they were thinking. One character, the crossbow-toting florist, keeps appearing at odd times in the story, leading the reader to wonder if she’s as innocent as she seems. The presence of red dahlias throughout the story clues the reader to pending danger. I’m left-handed, but bat, golf, and perform normal activities right-handed. I’ve traveled internationally for my various jobs, and ended up in a police van at midnight in a Munich back alley. I played dumb and convinced my hosts that I was harmless. I’ve managed to keep my wife for forty-four years. I think, like above, I played dumb and convinced her I was harmless. I frequent the casinos, convinced I’ll win a fortune, but leave lighter in the wallet, but still hopeful and convinced of later fortune. I have an adorable granddaughter who loves playing with me because I’m just a big kid at heart.